That Cd contributes to the Mirage being the most fuel-efficient gasoline (non-hybrid) registered car in Japan. Relatively smooth wheel covers (some models), and narrow width tires (165 mm). The 175 mm width tires with open spoke alloy wheels on some Mirages result in worse fuel consumption, partly for aerodynamic reasons. Of course, reducing aero drag isn't just about improving fuel economy. It also results in a quieter cabin (less wind & engine noise) and more engine power in reserve at highway speeds (faster high speed acceleration). Mitsu provided technical drawings in some of its brochures which we can use to derive frontal area, and ultimately CdA. That figure is more useful for comparing the car's total drag area to values known for other cars. Could the Mirage's drag coefficient be made even better? Don't aerodynamics only matter at highway speeds? People often incorrectly assume that aerodynamic design elements "only matter above 60 MPH" (or some other arbitrary high speed). The fact is, many vehicles burn more than half their fuel to overcome air drag at speeds as low as 25-30 mph (40-50 km/h), including the Mirage at Cd = 0.30. So, yes, aero is critically important to highway fuel economy. But it also affects city numbers. Of course the effect is exponentially greater the faster you go. When you double your speed, you cube (x8) the power needed to overcome aero drag. EDIT: See post #13, below, for calculations that show a difference of 5 MPG between a Mirage with a Cd of 0.27 vs. a Mirage with a Cd of 0.31 cruising a speed of just 50 mph (80 km/h). No under belly panels here on this ES sport i looked at today in Australia. 5.93 is quite respectable for a small hatch. That is right around what the Prius is. I'd say I'm impressed. Can always add our own! It's a decent candidate image to use because it doesn't have perspective distortion we'd typically get in a front-on photograph. Also, Mitsu conveniently provided exact dimensions in millimeters, so we have an accurate reference to figure out the pixels:mm ratio in the image. First, I enlarged the image to make it easier to work with. Next, I traced the car's outline with the selection tool, then adjusted the selection so it was centered on the line. Since it's a 2-colour image only, we can easily see that the black pixels represent only the car's frontal area (153501 pixels, in the image I was working with --- a larger one than the attachment image in this post). (A) the diagram dimensions showed the width of the car as 1665 mm. 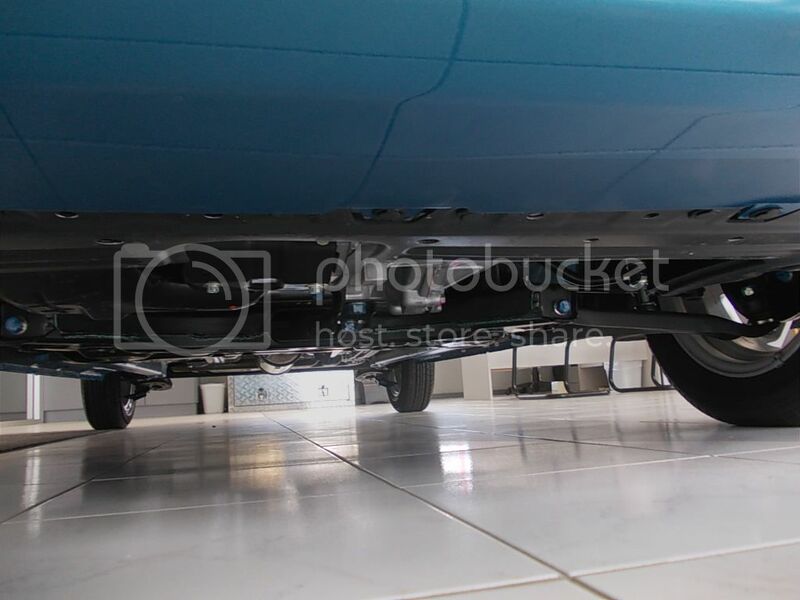 (B) Using a measurement tool, I found the pixel width of the car in my working image was 457 px. (C) So we now have a ratio of 1665 mm/457 px, or 3.643 mm/px. (D) But a pixel is a square, so we have to sqare the number of mm to get 13.274 square mm/px. (E) Last step: how many pixels in the car? 153747 px * 13.274 mm2/px = 2040811 mm2, or 2.041 square meters. Updated post #2 with CdA for the Cd 0.30 version of the car too. thanks Metro for that and yes we can add our own under body panels, and maybe able to order the panels from Mitsubishi? The aeromodders here would be pleased to know that the Mirage comes standard with a grill block. The bottom grill opening looks big, but actually only 2/3rds of it is open on the manual transmission car. The CVT Mirage has a slightly wider bottom grill opening due to it having a slightly wider radiator. I'll post comparison pics if I can get a picture of a CVT Mirage up close.